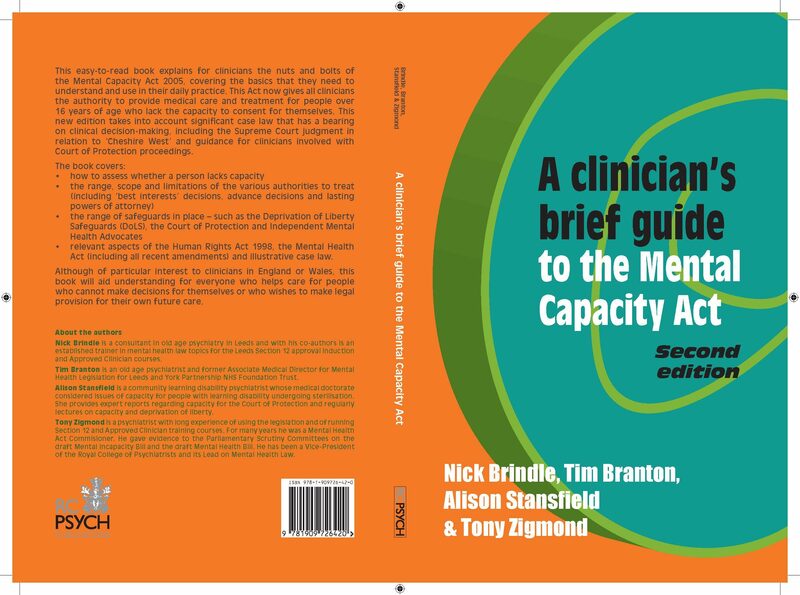 This easy-to-read book explains the nuts and bolts of the Mental Capacity Act 2005 that clinicians need to understand and use in their daily practice. This Act now gives all clinicians the authority to provide medical care and treatment for people over 16 years of age who lack the capacity to consent for themselves. It covers:How to assess whether a person lacks capacity and how to clarify the threshold of decision-making incapacity.The range, scope and limitations of the various authorities to treat (including 'best interests' decisions, advance decisions and lasting powers of attorney).The range of safeguards in place (such as the Deprivation of Liberty Safeguards (DoLs), the Court of Protection and Independent Mental Health Advocates).Relevant aspects of the Human Rights Act 1998, the Mental Health Act (including all recent amendments) and illustrative case law.There have been numerous developments in case law in the two years since the first edition. The second edition expands on clinically relevant issues from the courts, and assists in bridging the gap between court judgments and the frontline clinician. Readership:This book is aimed at all clinicians (in England and Wales) - especially those working with the elderly and those with intellectual disabilities (this includes GPs, nurses and the allied disciplines).It will also aid understanding for everyone who helps care for people who cannot make decisions for themselves (such as elderly relatives) or who wishes to make legal provision for their own future care.